Rather than joining the masses and purchasing giant bags of candy and chocolate to hand out at your door, consider the following ideas. 1. Fair Trade Chocolate. We have purchased bags of sample size fair trade chocolates made by Cocoa Camino. They are small, and they cost a pretty penny. And yes, Fair Trade chocolate still has sugar in it. However, it is a fantastic opportunity for learning with your children about fair trade. I won’t go into detail here regarding the reasons to choose fair trade since you can check out the following links if you’re interested to learn more. Honey sticks – often local honey producers offer these sweet sticks. Organic lollipops or other treats – keeping in mind that organic junk food is still junk food! 3. Something Homemade. I only suggest serving something homemade if you are part of a small community and know the majority of the children and families coming to your door. We have served hot cocoa in the past. Apple cider and a baked good would be a lovely offering that could become a tradition and something that your community looks forward to each year. 4. Non-Food Treats. This one is a bit tricky in my mind, as I am all for alternatives to highly processed, high fructose corn syrup laden treats, yet nobody really needs hundreds of halloween pencils or erasers each year either. Brainstorm with your children to come up with some creative ideas. What you’ll choose will of course depend on your community. If you live in a small, tight-knit community, crafted items are a possibility. If you have a hundred kids at your door, purchasing something small for each child is the way to go. Our list is just a start – we’d love to hear your ideas in the comments! Every family faces the challenge of a giant bag of candy differently. I’ve heard of parents who let their kids binge ONE night and then toss the rest. Others allow their kids to choose a specified number of goodies to keep, and toss the rest. We have tried a few things over the years, the most common being that each child chooses ten items to keep. We place them in a dish, and if they ask for one they can have one (once a day). The rest of the loot is traded in for a certain dollar amount to be spent at the toy store or saved. After a few days, they honestly start to forget about the candy and so usually don’t even eat all ten. Our six year old just asked us a few days ago if he could have one of his candies from last year! Another cozy fall idea is to have your children leave their candy out at night, and then leave them a gift to discover when they wake up – from you or from the Candy Fairy. This could be a new pair of slippers, wool long underwear, art supplies, or any gift that would be cherished in your home. Edited October 2014 to add: One of our favourite children’s resources, Sparkle Stories, just released a fun tale about the Halloween Switch Witch! Check it out here. 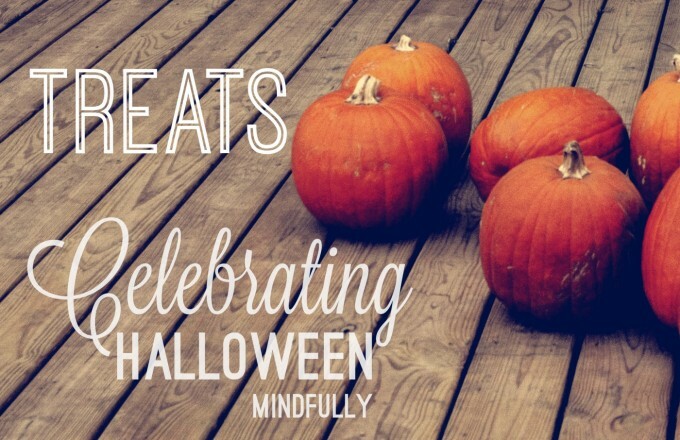 Share your alternative halloween treat traditions in the comments. 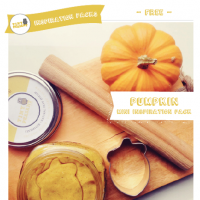 Don’t miss our latest FREE resource: Pumpkin Mini Inspiration Pack PDF: A great way to get to know my work (investment free), and lots of fun activities, recipes, poems, and recommended books for pumpkin learning. This post was chosen as a featured post for Simple Lives Thursday at My Humble Kitchen, and shared as a part of Unprocessed Fridays at Girl Meets Nourishment, Fight Back Fridays at Food Renegade, Simple Living Saturdays at The Pistachio Project, Wellness Wednesdays at Nourishing Treasures, Thank Goodness It’s Monday at Nourishing Joy, and Natural Living Monday at Modern Alternative Health.